Niswishkoden akiing omaa ayaayang: Ojibweg, Odawag gaye Boodawewaadomiig. Anishinaabemowag. Giikanaamozo Gabegiikendaasogamigong ate bangii ishgoniganing gaa ishkonigaadeg wi apii Majibineshiwish miinawaa wiiji-anishinaabeg bi endaawaad. We gather on the land of the Three Fires Confederacy: the Ojibwe, the Odawa and the Potawatomi. They speak Anishinaabemowin. 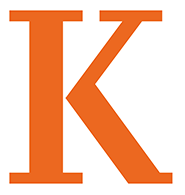 Kalamazoo* College itself is located on a part of the reservation established for Match-e-be-nash-she-wish and his band of Potawatomi. *This term means to surround with smoke and is/ reflects the way mist would rise off the river in the area. Another term sometimes used is gaziigamize, the term for boiling sap. The key to an Ethnic Studies approach is thinking, working and creating from knowledges that have been made invisible or silenced—in a way that seeks multiple voices and world views. The founding principles of Ethnic Studies are: self-determination; solidarity among American racial minorities; educational relevance and an interdisciplinary approach. Using these principles as guidelines for scholarship (in and outside of the classroom) Ethnic Studies questions how knowledge is defined, as well as who is defined as a thinker. Often individuals and stories are “conspicuous by their invisibility.” (Deloria, Custer Died for Your Sins) We offer this telling, one of many, in the spirit of telling stories, translations, and in the faith built by the web of differing versions. The version below is from a work in progress, and a chapter with the working title “Conspicuous by Their Invisibility,” written and with unpublished research by Anne Dueweke. In the early 1820s, the U.S. government sought the first land cessions from the Native people of southwest Michigan, and the 1821 Treaty of Chicago, negotiated by Territorial Governor Lewis Cass and leaders of the Potawatomi, Odawa, and Ojibwe, resulted in the cession of most land south of the Grand River. Through the negotiations, five reservations were established, including a three-mile square area in what is now Kalamazoo (and upon which Kalamazoo College is situated) for Match-e-be-nash-she-wish and his band of Potawatomi. In six short years the 1827 Treaty of St. Joseph did away with four of the five reservations as the federal government sought to consolidate the Potawatomi “at a point removed from the road leading from Detroit to Chicago, and as far as practicable from the settlements of the Whites." Among the reservations ceded were those at Ke-kalamazoo and Prairie Ronde (Schoolcraft), and the remaining Nottawaseppe reservation (near Athens) was enlarged to accommodate the displaced Potawatomi. This consolidation was seen by the American negotiators as a precursor to removal. The Potawatomi people did not leave Kalamazoo however, at least not right away, and descendants of the Match-e-be-nash-she-wish band, the Gun Lake Band of Potawatomi, tell us they were never compensated for the loss of their reserve in Kalamazoo. Through the 1833 Treaty of Chicago, the U.S. government demanded the remaining Potawatomi reserves and stipulated that the Potawatomi people of Michigan were to be removed to a territory west of the Mississippi after three years. Neither Match-e-be-nash-she-wish nor his son Penasee signed the 1833 Treaty of Chicago. Listen to the spoken recording of "Niswishkoden akiing omaa ayaayang..."